We offer commercial plumbing and heating services in all areas of Merseyside. We also offer a national service for commercial projects. Call us for details. MHP Merseyside Heating & Plumbing are Liverpool Based Commercial Heating Building Services Engineers,we operate and under take contracts in the North West up to £1 Million in Mechanical Value. 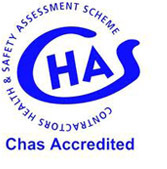 We take Health & Safety very seriously all our Engineers are Time Served, CSCS Qualified and Gas Safe Registered. 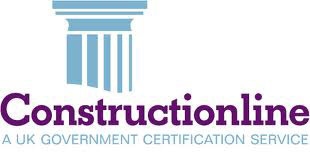 As a Company we are Contractors Health & Safety Scheme (CHAS) Compliant and Accredited and UK Government PQQ Tendering service Construction Line Accredited. We can provide our clients with innovative and sustainable solutions covering all aspects including the design, the coordination, the installation and the commissioning of the projects Mechanical requirements from Small Boiler House's in Restaurants to Large Boilers and Air Handling units in School and Hospital Installation. We specialise in Heating system In Modern Apartment Buildings from Combi Boilers to Warm Air MHP Can undertake the Installation time and within budget. We work closely and Safely with Main Contractor's and all other trades to ensure we provide a coordinated installation that all involved with project are completely happy at completion of the installation. A recent reference from a satisfied commercial client..
MHP over saw everything organising all other relevant trades, Electrics, BMS System and making safe the Gas System that was damaged, they Installed Vaillant Commercial Boilers and Hot Water Cylinder for us at the property. We could not have chosen a better contractor, as we are located in Potters Bar, if you need a Mechanical Heating firm who can be trusted to get on with everything, and deliver on time for new tenant to move in then I cannot recommend MHP Enough.